Easter may be done and dusted, but that doesn’t mean the fun has to stop. 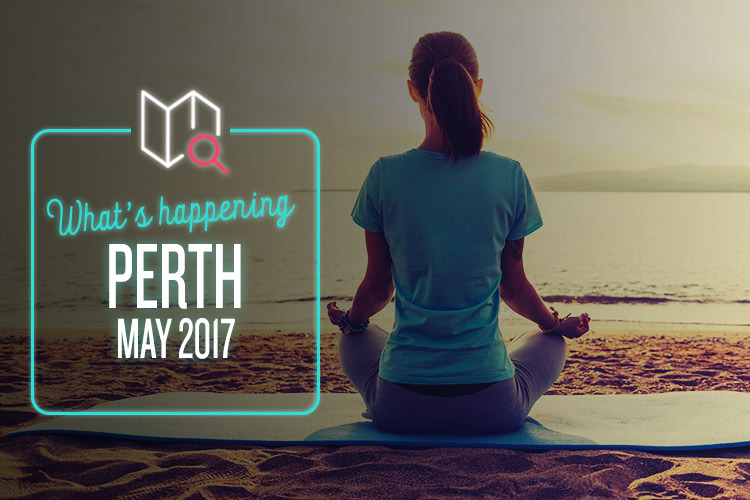 This month brings a whole new flurry of action to the noble denizens of Perth. So, who’s up for a little mirth and merriment? Or a lot, we should say, as the Perth Comedy Festival takes over the whole city for nearly an entire month. The biggest comedy stars and the hottest up-and-coming acts from all across the world are heading over, crashing into Perth like a tidal wave of chuckles. Acts include Phill Jupitus, Becky Lucas, Craig Hill, Alice Fraser, Alex Williamson, Paul Foot, Effie, Sarah Callaghan, Stephen Amos, Urzila Carlson and countless others, covering everything from stand-up to music to theatre. Heck, you can even perform yourself! It’s just the ticket to perk you up as the Autumn sets in, so check out the website to see what’s on. The cinematic history of Spain is as rich and colourful as the country itself, and the 20th annual Spanish Film Festival is here to show you the best of it. This year’s line-up is exceptional, featuring quirky rom-com Kiki: Love to Love, kids’ adventure Zip & Zap and the Captain’s Island, intense civil war drama The Exile, critical darling Summer 1993, the epic and lavish The Queen of Spain, psychological thriller Boy Missing, action caper Heroes Wanted, and plenty of other filmic treats. Guests include Miguel Maestre and Natalia de Molina, and the whole festival rounds off with a showing of Steve Coogan and Rob Brydon’s hilarious The Trip to Spain. What more could you want? Float & Restore’s last Wellness Weekend was a rousing success, so we’re very happy indeed that they’re heading back to Hillarys harbour for another bout of health and happiness. It’s free to enter (always a plus), and features a multitude of stalls run by local artisans and wellbeing organisations. Expect lots of free samples and demonstrations (including some killer massages), as well as plenty of food, drink and activities for the kids to get stuck into. The event runs from 10am to 5pm on both Saturday and Sunday, so there’s plenty of time to check everything out. We’re heading back to the realm of the Spanish arts for this one. The West Australian Ballet is proud to present a lavish performance based on Miguel de Cervantes Saavedra’s seminal novel, Don Quixote. The story sees Don Quixote searching desperately for his imaginary lover Dulcinea, descending ever further down the path of madness as the finale draws near. Epic! The costumes are gorgeous and the dancing hypnotic, and the phenomenal score is provided by none other than the West Australian Symphony Orchestra. Even if you’ve never even thought of going to the ballet before, this is an absolutely unmissable performance.